Keep these personalized coasters handy at the poker table, so there will be no doubt who wins the big pot! Each coaster is personalized with first and last name and year established. 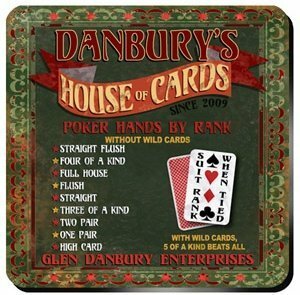 The coasters also feature a listing of poker hands by rank, as well as the list of suit rank in case of a tie. Coasters come in a set of 4.